MYSTERY ISLAND - Quite amazingly a new disease has developed in Neopia. No Owners, you needn't worry for your pets' sake, but for your own. This new sickness, recently dubbed 'Sand Fever' affects the Neopian Owners only. Sand Fever was 'discovered' to an extent only recently by members of the NTAG, including myself, when an outbreak of the sickness began plaguing just a few of us. Apparently Sand Fever does one major thing: it affects the mind of the infected and forces them to buy bottle after bottle of sand. Not only does the infected buy bottles of sand, sometimes they will actually eat it. I recently invited star_child1 of the NTAG to my NeoHome for an interview. The first question to be asked, of course, was, "Are you infected with Sand Fever?" "No," Star answered. I asked her when she had first head of Sand Fever she replied, "Well, I saw it rather then heard it a few days ago." "And you didn't get infected?" I asked. "You didn't feel the urge to go buy bottles of sand?" "Oh, I felt the urge all right. But luckily, my Neopets had a VERY strong hold on me so I was forced to suppress it," she said with a smile. "So it was thanks to your Neopets that you have not contracted this disease?" "Yep. Plus, Alicia_Bozza said that she would get her Wadjet, SkySong, to hurt me if I did so." Star smiled over at her Shoyru, who was happily playing with her other Neopets as well as mine. "How, in your own words, would you say Sand Fever affects people?" "Hmmmm..." Star seemed to think about this for a moment "It seems to come on suddenly, like a blast of wind. People than have this urge to buy all these sand bottles and won't stop until they have no more NP or until it fades away. They fall in love with sand. There was this one guy who ATE the sand! I've heard that it also makes the person go bonkers." I couldn't help but smile. "You seem to be an expert at this. Would you consider yourself an expert on Sand fever?" I was delighted to find someone with so much knowledge of this new disease. "Uhhhh..." Star shrugged. "I guess...I did name it, after all." When asked if there was any cure for this she said, "There might be, but I can tell you one thing: I don't know!" 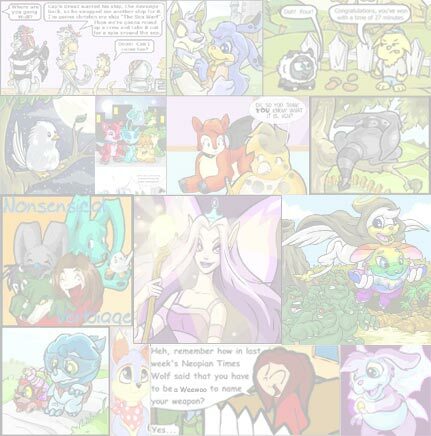 "Would your Neopets like to say anything about this?" I asked. 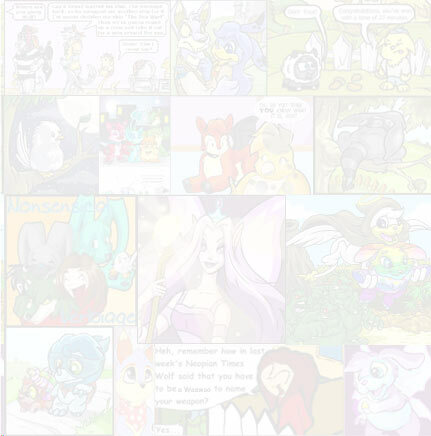 I am always interested in getting Neopets opinion of things. "Yes, they do! C'mon you guys." At this and Usul, a Peophin, a Shoyru and a Kougra walk over to where we sat. "I'd just like to say that I helped discover Sand Fever." Rose_of_Destiny, Star's blue Usul said. "No you didn't. You were you in a tree at the time, sleeping." The blue Kougra, Nala, and Rose began to glare at each other. Aaliyah_1346 the checkered Peophin and Alicia_Bozza the blue Shoyru shrugged this off as normal, and said they would be like that for a while. Aaliyah was the next to speak up. "Anyway, we would like to say to the owners out there to be careful." "Unless you have a Wadjet!" Alicia chimed in. I then asked Alicia and Aaliyah if they were concerned for their owner when she nearly contracted Sand Fever. "Yep. If she went all crazy like the other owners, she wouldn't buy us food!" Aaliyah said immediately. "Or help us write stories!" "Nice to see that you guys were concerned..." Star said with a sarcastic undertone. "Yea we were!" said Aaliyah. "Otherwise we would have watched you eat sand!" Alicia said and the two Neopets fell over laughing. "Do you have any last words to say to the Owners of Neopia?" I asked. "Yes: Stay AWAY from those who have Sand Fever." Aaliyah warned. "Unless you like crazy people." Alicia giggled. "Hmmm, I guess you have to stay away from me then." Star said smiling. "No way! I like you." Alicia said. Soon the three were entangled in a group hug. We said our goodbyes, I said thank you many times as usual, and they were on their way. It is rumoured that Sand Fever isn't so new. Recent research says that the Sand Fever may have originated around Mystery Island and the cooking pot. This is only a theory so far. Perhaps, if this is true, a few infected Neopians traveled from Mystery Island to Neopia Central carrying the virus with them. I myself believe that many Neopians are immune to Sand Fever. I myself was infected with Sand fever and have 423 bottles of sand in my SDB thanks to it. I have now gotten over it. It doesn't take too long to wear off so don't be too afraid to socialise! Briefly I spoke with yet another member of the NTAG, jazapgirl. We didn't get far into the interview but this is what I got from the short conversation. "I guess my first question is, currently, how many bottles of sand do you have in your possession?" I asked. "Well, I have just started collecting them so I don't have many. Currently I have 21. I know that's not a lot, but I have just been to shops and they are gone before I can get them! I think the Sand Sickness is starting to infect more people...."
I then asked how she became infected with Sand Fever. She replied, "I was talking with the members of my guild when all of a sudden I asked what everyone collected! Lost_desert_fan said that she was going to collect sand. Soon other people were talking about collecting sand and then I began to feel an itch in my fingers to buy sand. I guess that is one of the symptoms of the Sand Sickness." Unfortunately our conversation was cut short. But this does reveal the fact that Sand Fever can be transmitted through words. You may just hear someone say something about sand and become infected! Neopians beware! Sand Fever has no known cure except to wait it out and try not to buy the sand! And, just to be fair, I'm letting my Charges (I don't call them my Neopets, they don't belong to me. I just take care of them) have the last word in this. "I was really worried," Amritaya the Gelert said. "One day she just came home from the Guild and she was carrying a bag filled with bottles of sand�it got worse. But at least it's gone now! Maybe we can sell what sand we have now." "Yea! Maybe we make money!" Gothic Seraphim the young Lupe pup said. "Maybe we make enough to make a cure!" Unfortunately I doubt I could make enough money from the sand to make a cure like Gothic Seraphim wants, but hopefully someone else will find a cure. Remember to watch out for Sand Fever.